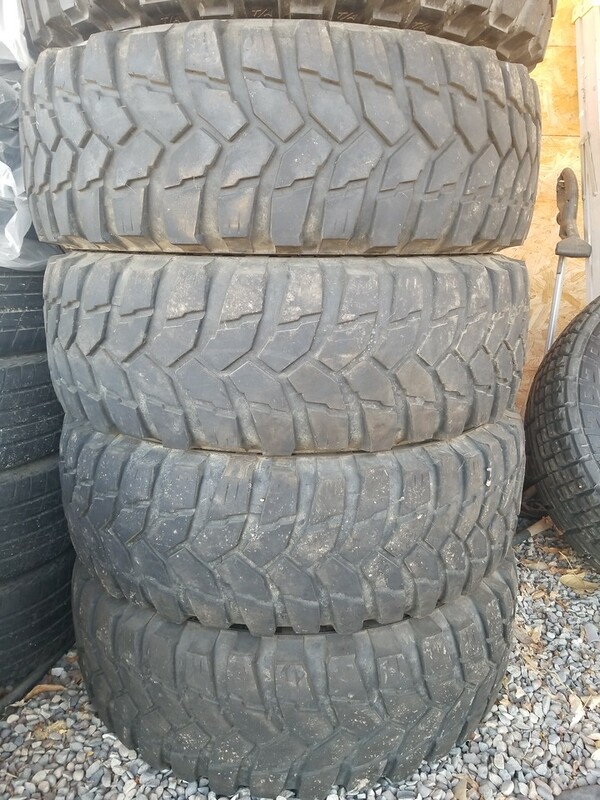 I have 4 Maxxis Trepador 37x12.5x17's with half tread (11/32" new is 21/32"). The 4 Treps are in pretty good shape, plenty of tread life left in them and not abused or chunking out (they were on a vehicle that saw mostly street use). 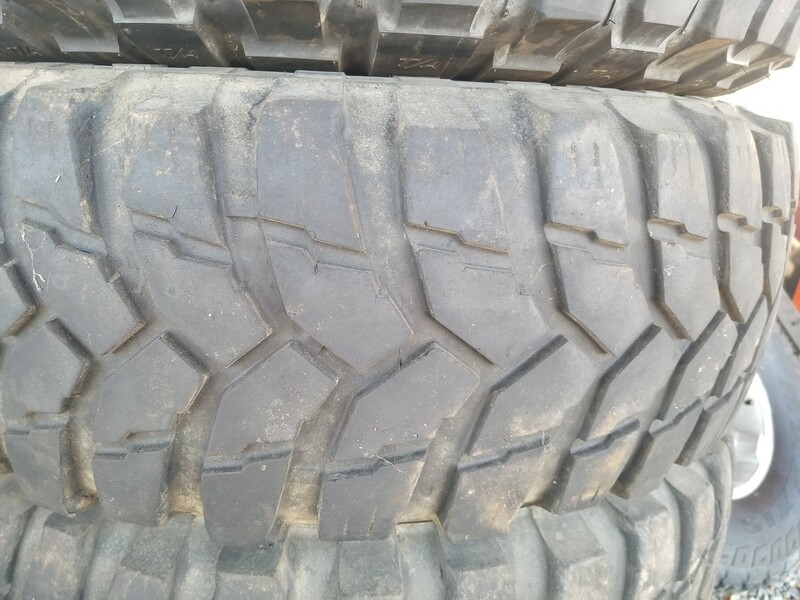 Would be great for a 2nd set of tires or just as a cheap set of off-road worthy 37's. $600, located in Grand Junction CO. Could haul them to Green River next weekend! Rim Size. Maybe I missed it? 17's, sorry thought the size was listed. Trade? Set of new Maxxis SCRs 35x17s. 2 are already grooved 2 are still the base blank tread. I replied to your PM, but I'm already set with a full set of short course tires. No problem did it for pictures can't send pictures on PMs. I've had someone claim the spare KM2, so now it's just the 4 Trepadors.... price is $500 for the 4. That's $125/ea for awesome, half tread 37's! Nobody wants these for $500? I am still tempted but live on the other side of Utah from you. 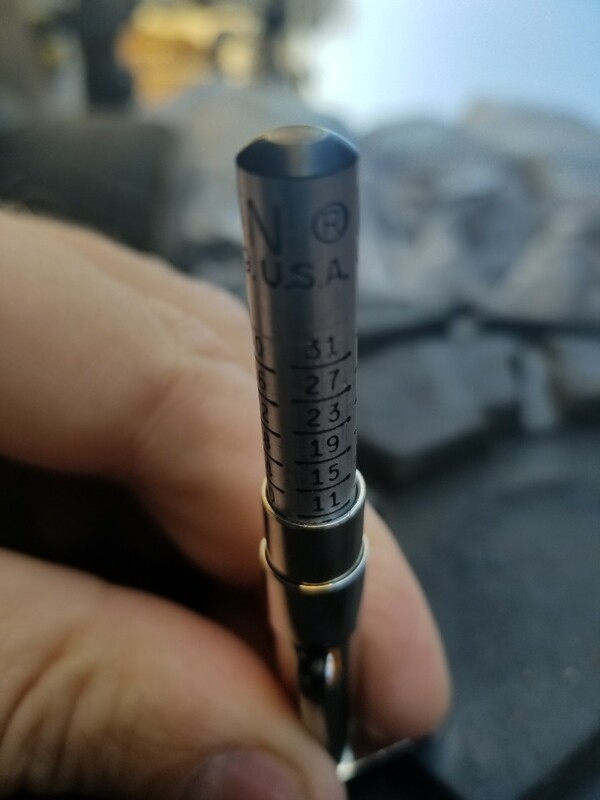 Yeah, that's a lot of miles in between. These would work really well on the CJ10a project.... might have to come check em out this weekend.